SKU: N/A. 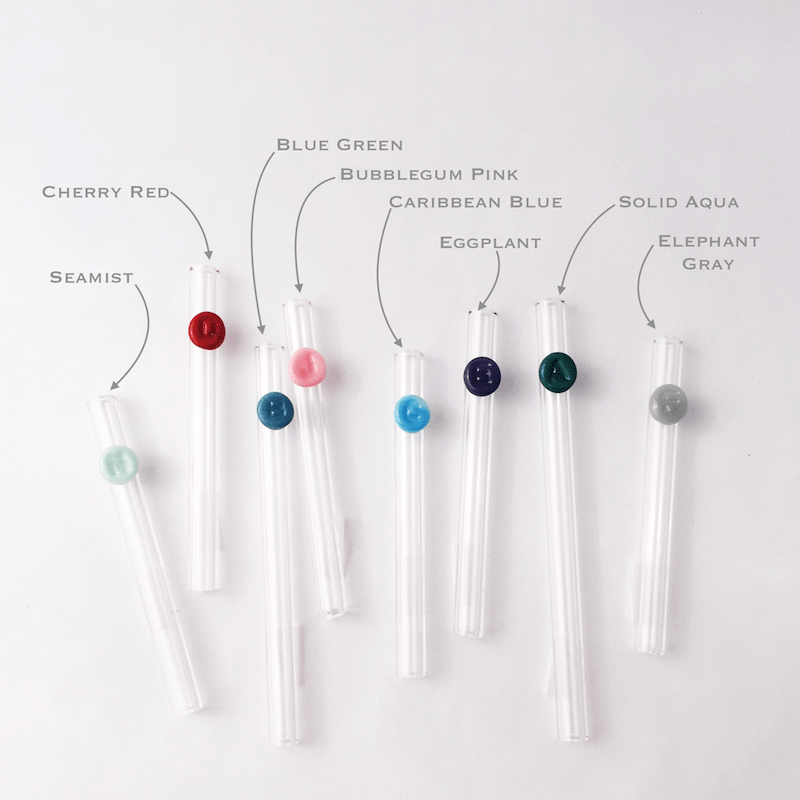 Availability: In stock Size: N/A Shipping Weight: .1 lbs Category: Personalized Glass Straws. 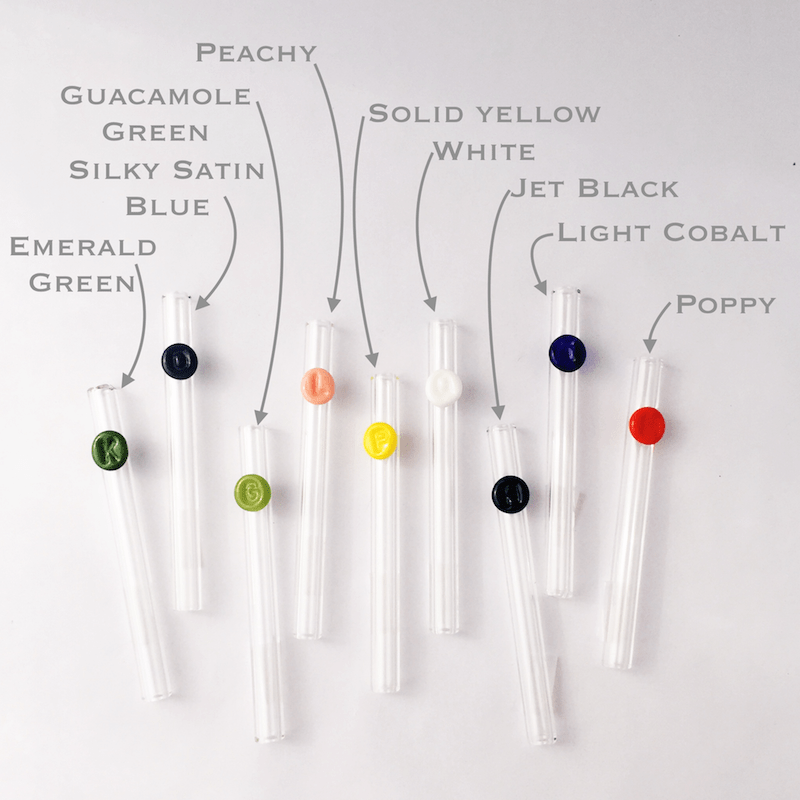 Reclaim your sanity and stop the madness with personalized straws. 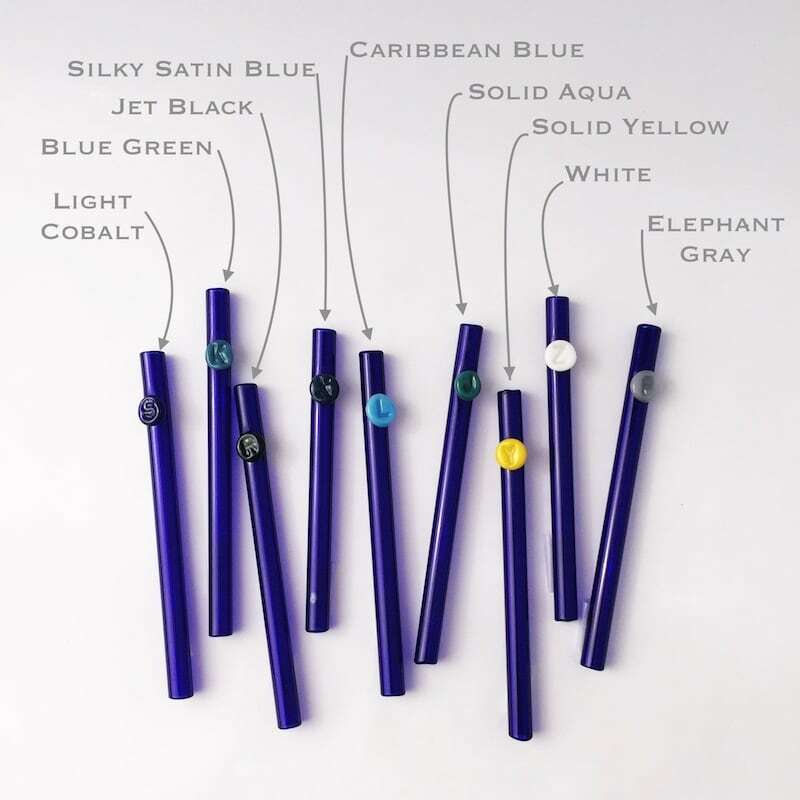 Pick their favorite colors and initials and you just eliminated WWIII. No more cooties and definitely a bit more peace and quiet…at least while they are using their awesome glass straws. Please note: This straw is not made of special “indestructible” glass, it is the same glass as all of our other products. It is still breakable and adult supervision should be exercised when children are using this straw. 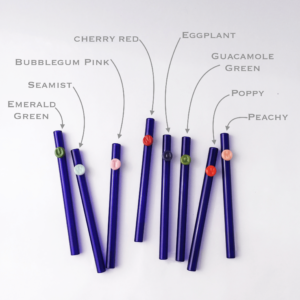 Treat this straw as you would other glass drinkware by removing it from the child’s possession when they are finished so that it does not become a plaything. Please feel free to contact us if you have any concerns about using this product with your child.